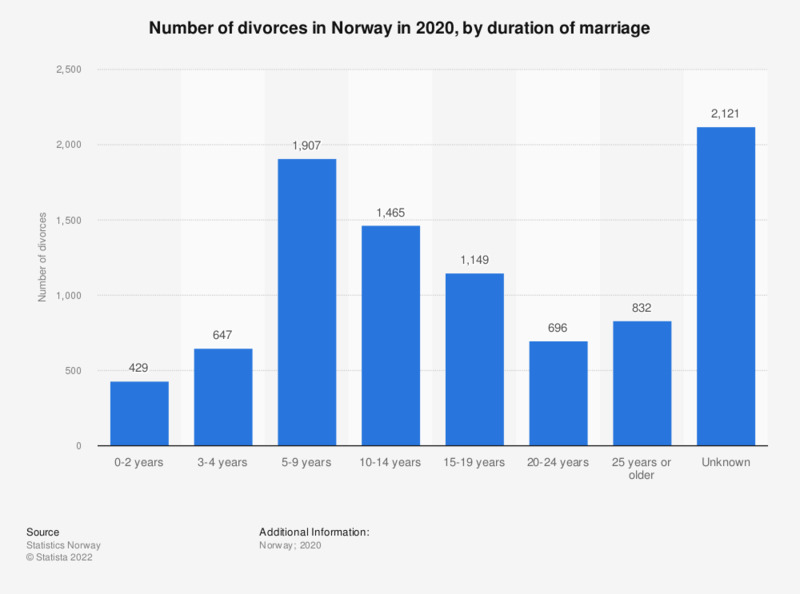 The statistic shows the number of divorces in Norway in 2017, by duration of marriage. The majority of marriages were dissolved after 5-9 years of marriage (2,665 divorces). About 1,892 married couples got divorced after 10-14 years of marriage.